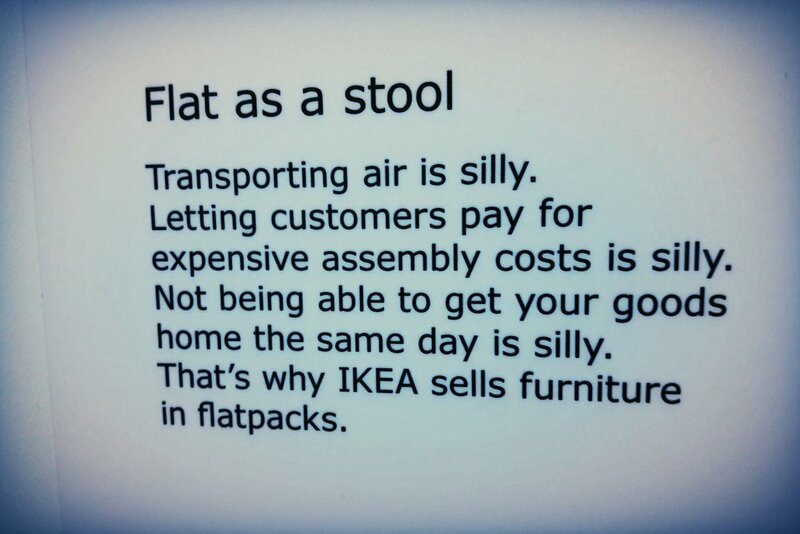 It’s fair to say when I first suggested to The Dane (my significant other) that we escape for a long weekend to the IKEA Museum and Hotel in Sweden he wasn’t jumping for joy. More accurately, he jumped away from me. But I wasn’t going to let that throw me off my game. So as soon as I heard the faintest whisper, which was possibly a whimper, of agreement I started making the arrangements to visit the birthplace of one of Sweden’s most well-known brands. 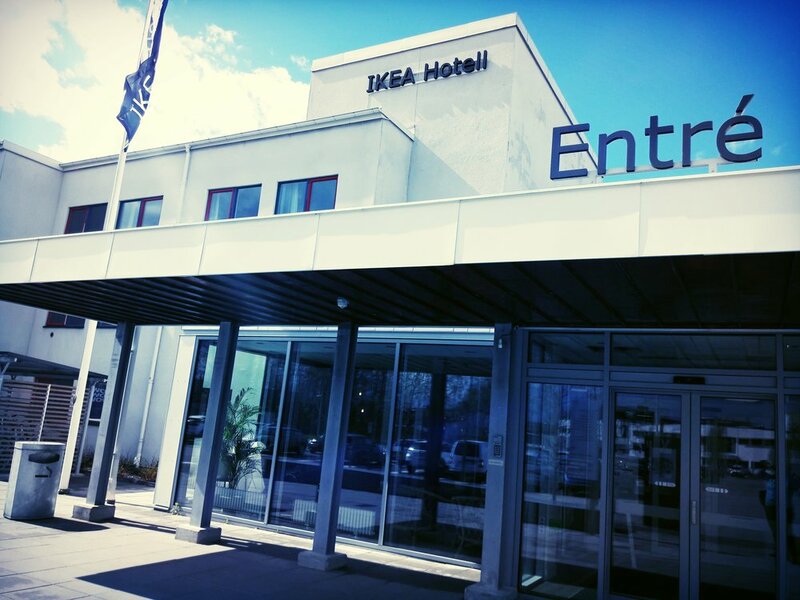 Situated in the small Swedish town of Älmhult, the Ikea Museum and Hotel is an easy 2.5 hour drive from Copenhagen (or you can take the train). And just like everything else that is IKEA, it’s a smart set up designed with a strong attention to detail and minimal fluff. The Museum opened in 2016 and is located in what was IKEA’s very first store that was opened in 1958 by IKEA founder, Ingvar Kamprad. Situated right next to the Älmhult train station, his foresight in choosing this location so many years ago is impressive. But then, this was a man who registered IKEA as a firm when he was just 17 years of age and 15 years before he was to actually open the very first IKEA shop. So perhaps we shouldn’t be too surprised with his foresight and the global legacy he has left. Älmhult municipality has a population of around 18,000 and with nearly 4000 people employed by IKEA within this town (from logistics to design), you realise quickly that IKEA is Älmhult. It’s in the DNA of this town and they’re rightly proud of it. It’s where the designers create next year’s selection of products, its where graphic designers and copywriters spend hours poring over the production of the annual catalogue with its staggering print run of 210 million copies. And it’s a town proud to have its own ‘meatball rush hour’ as the locals head on mass to the Museum canteen at lunchtime. But this historic site is also the home to a wonderful museum which welcomes you like an old friend before taking you through the story of IKEA and sharing with you how one man who worked so passionately his whole life turned a small mail order business into the success it continues to be today. Or as Ingvar said himself ‘creating a better everyday life for the many people’. 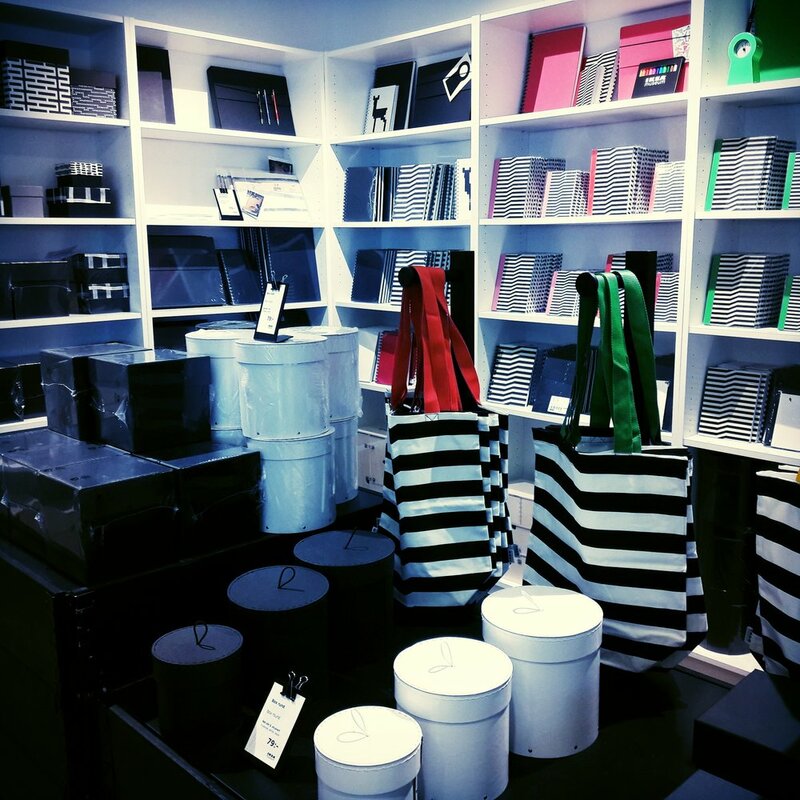 Even if like The Dane, you’re a RSIS (Reluctant Spousal IKEA Shopper), you’ll find the IKEA story of leadership, innovation and business a fascinating and impressive one. You could do this as a day trip from Copenhagen but to do that would be to miss out on half the experience. The IKEA Hotel. Located directly across the carpark from the Museum, it’s an easy hop from Train Station to Museum and Hotel. It’s a hotel which tells you ‘to make yourself at home’ and after exploring the numerous spaces within the hotel including the common lounges and kitchens on every floor, it’s hard not to. In fact, my shoes came off pretty quickly as I collapsed into a comfy armchair in one of the common lounge areas while our 2.5 year old set about making tea in the IKEA (play) kitchen and rearranging the numerous cupboards of IKEA products. Throughout the hotel you’ll find many of these open spaces which are stocked with just about everything you can imagine to make you feel at home. Cupboards and bookcases revealing colouring pens and building blocks for the young, and a selection of books and magazines for the older visitors. All cleverly integrated into the fabric of the hotel and distributed throughout the hotels common spaces. As a result, you’re unlikely to ever feel ‘stuck’ in your hotel room, rather you are more likely to feel like you fallen into some sort of Alice in Wonderland version of the IKEA catalogue. You’re encouraged to spend your time in the shared spaces. Making it a family friendly hotel but without the circus that can often be associated with it. A hotel designed to welcome families of all kinds as well as independent and business travellers. It is easy to see that everything within the hotel has also been designed with thought. Most likely taking advice from the many talented IKEA designers, from the smart yet simple coat hooks that become art to the smartly designed toilet in our hotel room which appeared to be designed at the perfect angle to minimise ones ‘tinkles’. I exaggerate not. And while I’ve stayed in hotels with more ‘stars’ and more ‘bling’, I have never stayed in a hotel as well designed and thought out than this one. Simple, functional and smart. They even warn you that you won’t find anything fancy or luxurious here, but that you will find ‘tasty and cozy’ which they do quite well. You have everything you need to ensure you feel ‘at home’ while still feeling like you’re in a special environment in which everything has a specific purpose. Including the IKEA catalogue/bible that was tucked away in the bedside drawer. It left me wondering why so many other hotel chains haven’t also worked out this winning formula yet. I’m not typically a Museum person, but when I find a museum like this I do get a little excited. Spread over two floors it isn’t the biggest museum, but it still offers numerous spaces to explore and relax in and you can once again easily see that every part of it has been designed with thought and care to make all visitors feel at home and part of the family. Right down to the offer of free nappies for your little one if you run short. The staff are clearly passionate about their job and the legacy of IKEA. They strike the right balance between professionalism and genuine concern in ensuring your visit is a great one. Along with the museum exhibits (many of which are interactive) you’ll find a canteen, gift shop (selling many products only found here), and a dedicated craft room (not just a colouring table, but with a complete range of craft products) in which you’re encouraged to sit, think and create. And while many may not admit it, undoubtedly the highlight of the Museum is the opportunity to get your own cover page of this years IKEA catalogue (with you on it). Even ‘The Dane’ came away somewhat pleased with his photoshoot experience, although I accept that he’ll most likely never publicly admit this. At the end of our 2-day visit to the IKEA Museum and Hotel we not only left tightly clutching our IKEA catalogue cover, but also with a willingness to perhaps forgive whoever the person was that invented the IKEA maze system. You know the one that relentlessly swallows you and refuses to release you until you have walked through every department of their shops? Another example of a smartly designed system designed to maximise your financial contribution when visiting any IKEA shop. So yes, based on what I learnt and experienced during our visit, I’m nearly ready to forgive you for that IKEA. Job well done Mr Kamprad and team. 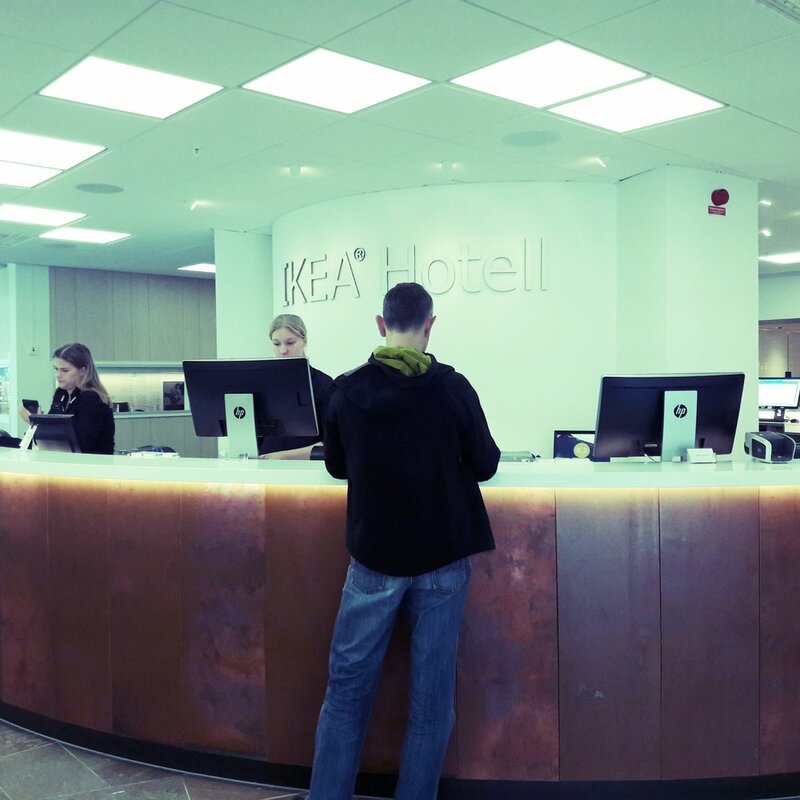 To read our full article in the June issue of The International click here...and see below for our top travel tips if you are thinking of heading to the IKEA Museum and Hotel. 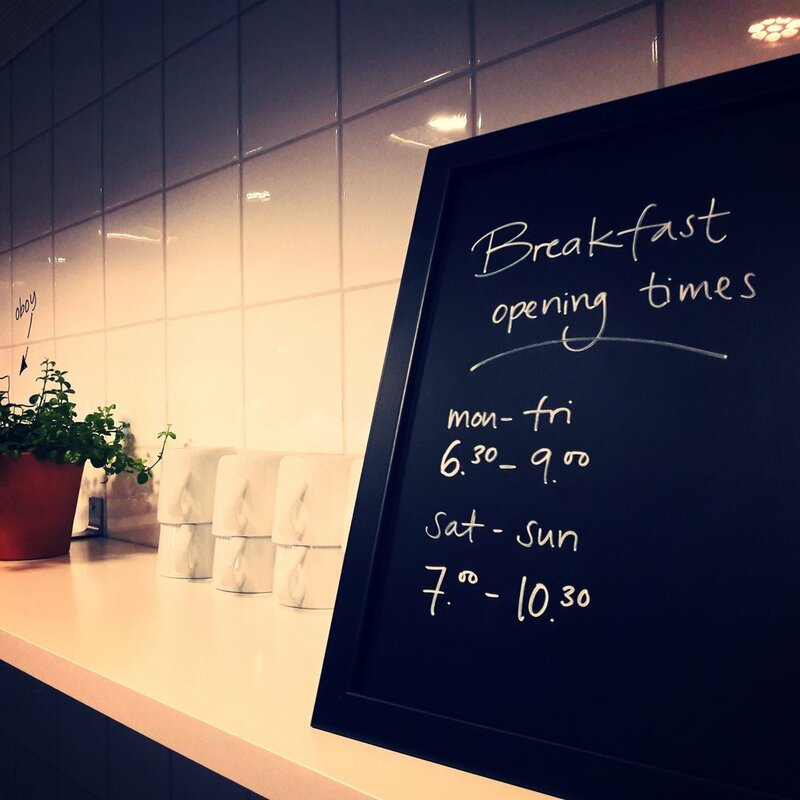 The IKEA Hotel offers a special Museum package which offers great value including accommodation, breakfast, dinner, fika (coffee break) and tickets to the Museum. Check out the Hotels ‘promotions’ page. Bonus attraction: Just 20 minutes down the road, you’ll also find the Lekoseum – a museum dedicated to the history of Swedish toys with a strong influence from the world famous BRIO manufacturer. It’s an unexpected find in an unassuming building which is a definite winner if you have children and includes an impressive Santa’s workshop hidden down the spiral staircase. Don’t leave until you find it! Read about our trip here.